Ken Chertow: U.S. Olympian & Wrestling Champion! Ken Chertow is an award winning and champion wrestler. Some of his stats are: 3x Academic All American. 3X NCAA all American. 2x Junior National Champion. 2x Junior World Champion. Olympic Festival Champion and the Midlands Champion. In College, among many victories, he is a National Dual Meet Champion of Penn State. Also, as a TV Analyst, Ken is the Pac 12 Network, Big Ten Network and CBS College Sports Expert Analyst. He is also voted as broadcaster of the year by the National Wrestling Media Association. As a TV Analyst, Ken is the Pac 12 Network, Big Ten Network and CBS College Sports Expert Analyst. Ken found success at all levels of competition, both as a competitor and a coach. After winning 2 State Championships and Outstanding Wrestler Awards, Ken culminated his prep career by winning Junior Nationals in both freestyle and Greco, and the Junior World Championship. While studying and training at PENN STATE, Ken was a 3x NCAA All-American, World Espoir Champion, Pan American Champion and 1988 U.S. Olympian. He is also voted as broadcaster of the year by the National Wrestling Media Association. Visit Ken at KenChertow.com. Cynthia Mazzaferro: International Empowerment Speaker! Cynthia Mazzaferro is a Motivational Empowerment Speaker, international award winner and #1 Best-Selling Author, Energy and Medical, Intuitive, Reiki Master, and Powerful Beyond Measure Life Coach. Cindy is a recognized expert on bridging the connection between spirit and our limitless human potential. She is a master energy practitioner and a leading authority on releasing the emotional and energetic debris that holds us back and addresses negative subconscious imprinting and protective mechanism that continue to negatively impact our happiness, health, and success both personally and professionally. More about Cindy at CynthiaMazzaferro.com. 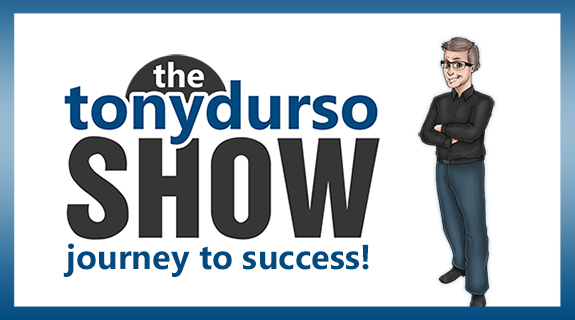 Click here for the full list of shows: The Spotlight with Tony DUrso! Keep your focus on success, and we’ll see you next, on The Spotlight!! EP137. Mian Mohsin Zia: Excelling in Marketing & Publishing! EP138. Michael Kimelman: How To Restart Your Life And Succeed!